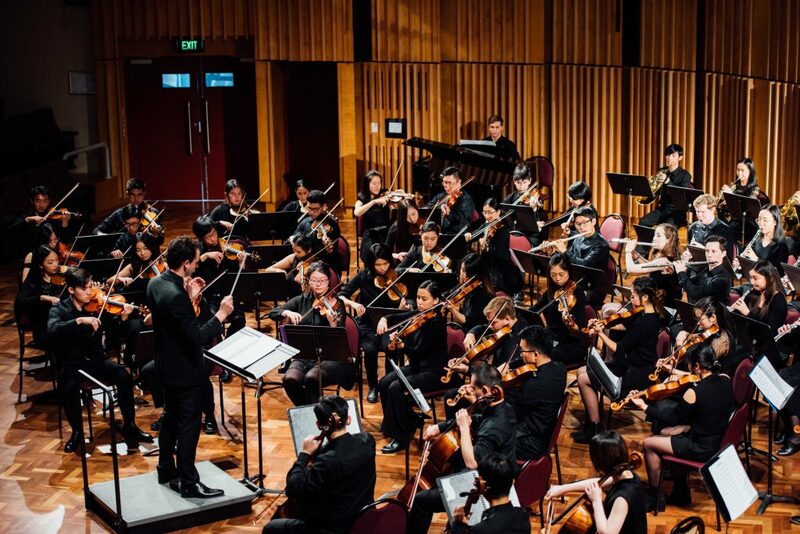 The Melbourne University Biomedicine Students’ Orchestra, better known as MUBSO, is an UMSU affiliated club* for students from all backgrounds and faculties of the University of Melbourne, united by a love of music and passion for charity. We strive to foster this love of music through our concerts and volunteering events, benefiting not only the players but also the community. It is this strong community focus which guided us to begin operating as a not-for-profit orchestra, where we donate all of our concert proceeds to charity, such as in our concerts Madam Amour, Dreamcatcher, and Shine. Our orchestra holds two full concerts every year, where we not only perform classical music from the great composers, but also pieces from movie soundtracks and musicals. 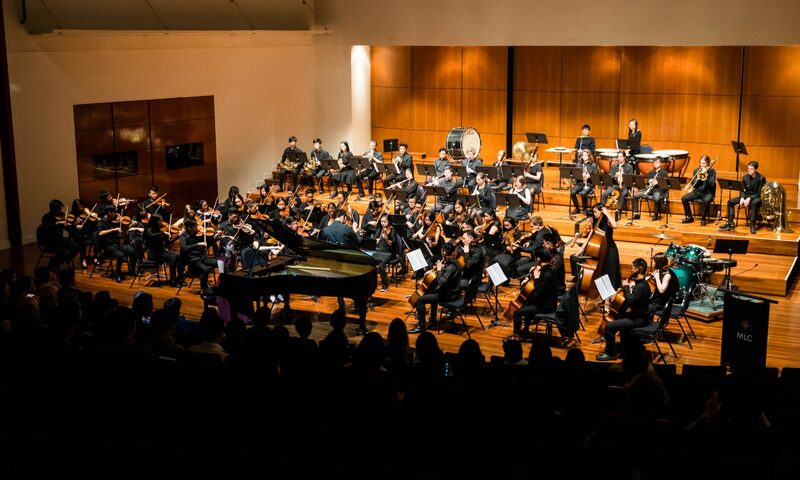 These concerts are usually held mid-semester so as to provide ample rehearsal time for the concert, whilst still allowing students plenty of time to prepare for their exams at the end of the semester. We are also very fortunate to have Nicholas Bochner, the Assistant Principal Cello of the Melbourne Symphony Orchestra, as our current conductor. For more information on our past concerts, including the soloists and programs, please click here. We also provide our members with various opportunities to volunteer and give back to the community. 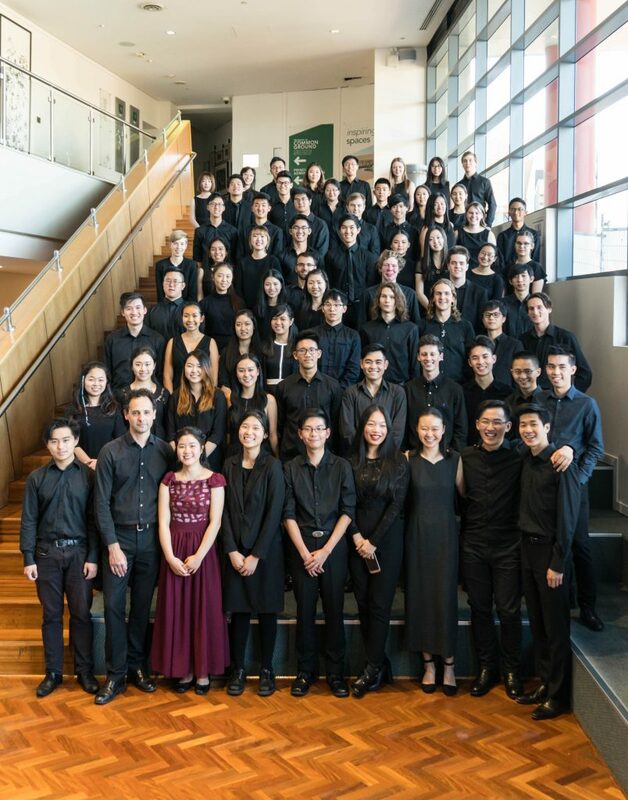 In 2017 and 2018, MUBSO engaged in a charity collaboration with Hello Music, performing in their annual Carols by Daylight concert at Deakin Edge in Federation Square, which supported Starlight Children’s Foundation. Our members also volunteer and perform in chamber music groups as part of music therapy programs, at healthcare locations such as the Royal Melbourne Hospital, and aged care services such as Village Baxter and Japara Anglesea Aged Care. Being a member of MUBSO doesn’t only allow you to play as part of a full symphony orchestra and volunteer though – by joining you become part of the MUBSO family!  There are many opportunities throughout the year where our members can socialise and network with each other, such as our annual CAMPanella held at the start of the year, and a day of activities + dinner held twice a semester. 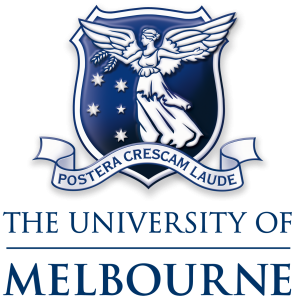 In collaboration with the Melbourne Symphony Orchestra, MUBSO also receives discounted tickets to certain MSO concerts throughout the year. Through concerts, volunteering opportunities, and socialising avenues, MUBSO aims to bond its members over their common love of music, and together play close to the heart. For more information on our history, conductor, past soloists, or committee, please click on one of the links below.